New handset combines the best of the S4 and Note 3, but it may be an Asia exclusive. For the past several years, certain smartphone enthusiasts have complained about the fact that Samsung hasn’t brought a lot of changes to its smartphone design philosophy. The term “cheap plastic” has been used numerous times to describe the Galaxy S and Note series. While these devices are not necessarily made of cheap materials, other Android smartphone manufacturers have lately raised the bar and delivered some rather interesting designs. HTC is a prime example of that, thanks to its all-aluminum HTC One. 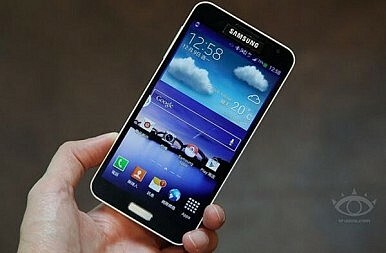 Throughout the year, Samsung enthusiasts have hoped that the Korean manufacturer will change its ways as well. When the Galaxy S4 arrived in a conservative plastic shell, fans of the brand turned their attention towards the Note 3. The aforementioned phablet has once again delivered a plastic body, but it spiced things up a bit by adding faux leather to the mix. Naturally, people have started wondering whether or not the Galaxy S5 will finally be able to break the tradition, but as it turns out, the SGS5 will not be the one to do it. Samsung has recently announced a new flagship device called the Galaxy J, and you’ve guessed it: the J ditched the plastic shell in favor of a metal body. Let’s take a closer look at what this particular smartphone has to offer. When it comes down to hardware, the Samsung Galaxy J can be easily described as a mix between the SGS4 and the Note 3. That’s definitely not a bad thing, as combining two of the most iconic smartphones into one should yield interesting results. Spec-wise, the Galaxy J features a 5 inch Super AMOLED display with a resolution of 1080 x 1920 and a pixel density of 441 pixels per inch. The panel is protected by Corning Gorilla Glass 3. Inside, there’s a Snapdragon 800 quad-core processor clocked at 2.3 GHz, an Adreno 330 graphics chip and 3 GB of RAM. These are the same internals that you’d find in the Note 3. The handset is currently being offered with 32 GB of storage, and in true Samsung fashion, the J does feature a microSD card slot that can expand the storage by up to an additional 64 GB. In the media department, the J packs a 13 MP main camera complemented by an LED flash, offering features such as HDR, Dual Shot, simultaneous HD video and imaging recording, face/smile detection and more. The main camera is capable of recording 4K videos, and on the front panel resides a 1.9 MP [email protected] sensor that supports dual video calling. The entire package is powered by a 2,600 mAh battery (same as the Galaxy S4), and as far as software goes, the Galaxy J runs on Android 4.3 Jelly Bean and the latest version of TouchWiz. This means that the handset is fully compatible with the Galaxy Gear smartwatch, and includes the enterprise security app “Samsung KNOX.” Last but not least, it’s also interesting to note that the Galaxy J offers support for LTE-A connectivity. The Samsung Galaxy J might be the smartphone that every Samsung enthusiast who ever complained about “cheap plastic” has been waiting for. The device is wrapped in a metal body, and in Japan – where the smartphone has been announced through NTT Docomo – the J comes in three main colors, including Coral Pink, Satin White and Lapis Blue. As far as the actual design of the handset goes, the J can be easily recognized as a Samsung flagship smartphone, and combines elements from both the SGS4 and the Note 3. The package measures 137 x 70 x 8.6 mm, and weighs 146 grams – making it 16 grams heavier than the Galaxy S4. At this point you may be wondering whether or not the Galaxy J will see the light of day outside of Japan. The good news is that, yes, the handset in question will benefit from a wider launch, and it was only recently that the J was made official in Taiwan. Unfortunately, there are no details about pricing and availability elsewhere, so we’ll have to wait and see what Samsung’s plans are. All in all, the Galaxy J is like a breath of fresh air for many Samsung enthusiasts. It retains its heritage and delivers a removable back cover/battery, as well as expandable storage. At the same time, it manages to raise the bar and offer a more premium-like build quality. It also makes us wonder whether or not Samsung wishes to test the waters with this particular design, in order to decide the future of the Galaxy S5. Until these details will be decided, feel free to leave a comment below. Is the Galaxy J the Samsung smartphone that you have been waiting for? Would you buy one, or do you think that these changes were unnecessary?